The lot in question was a so-called Portaguleser worth 10 ducats, issued in Hamburg c.1645. The mint official at the time was Matthias Freude the Elder whose initials can be found on the lower edge of the coin. The Bank of Hamburg was founded in 1619 and negotiated all the currency exchange in the city. It was also responsible for the issue of Portugaleser or Portugalöser (Portuguese coins). These were gold memorial coins which were used as gifts, but also for investment. 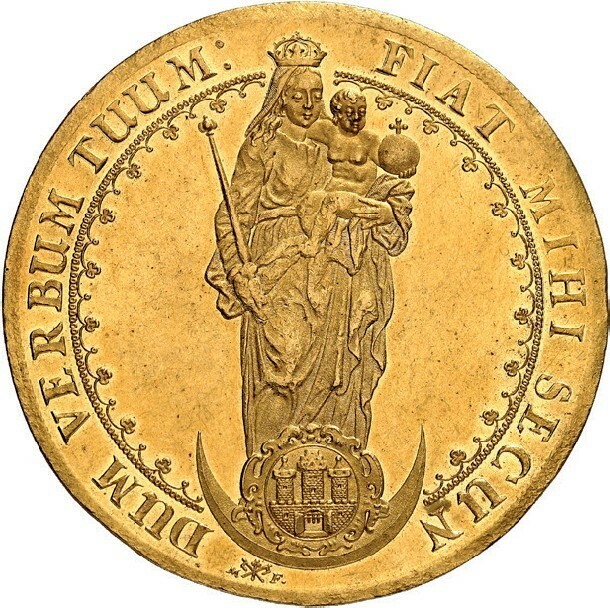 The undated example offered in Berlin had a depiction of the Virgin and Child above the coat of arms of Hamburg, set in a crescent moon on the one side and a cross on the reverse. It was last on the market in 1997, when it was sold by Künker to the present consignor. 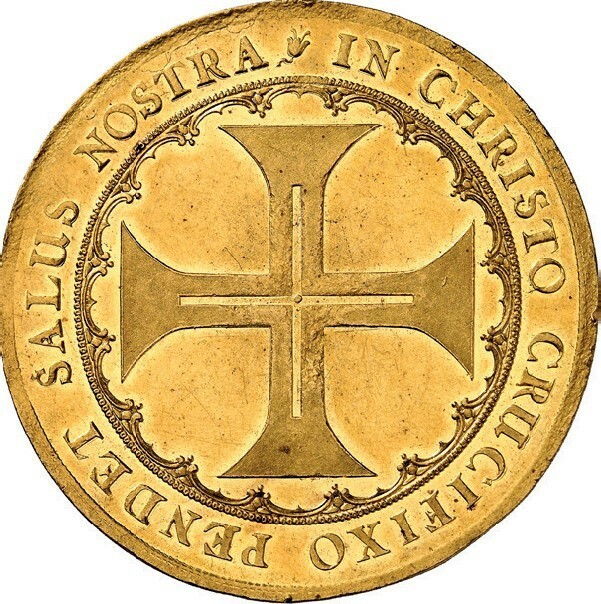 The coin’s provenance, however, goes back to 1928. It was then part of the Vogel collection which was auctioned in Frankfurt in October of that year. This time around the estimate was €50,000, but it finally found a new owner for €180,000 (£156,520).